The only gunman to survive the 1980 Iranian embassy siege in London may be freed from prison and granted asylum in the UK, BBC News has learned. SAS troops ended the six-day stand-off and killed five hostage-takers - but Fowzi Nejad escaped and was jailed. His parole hearing is in the near future and in normal circumstances he would be returned to Iran if freed. But he is believed to have a genuine case for asylum as he could face execution if sent home. Two hostages were killed during the siege - but 19 were saved. "They were the bad guys, we were the good guys, we had legal authority, they had murdered somebody and we killed them for it. "We made sure other people didn't come back to this country years later and carry out the same sort of terrorist activities." 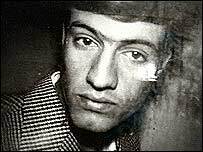 Nejad escaped by hiding among hostages who were escorted to a grassy area at the back of the embassy by the SAS. But he was quickly identified, arrested and jailed. 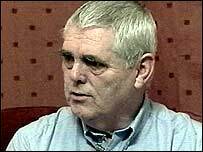 Trevor Lock, police officer on guard at the embassy when it was taken, was awarded the George Cross for tackling the group's leader to stop him shooting an SAS soldier. He told BBC News: "For such a serious crime life, for me, should have meant life. "For him to be able to come out and then be considered for political asylum - what a situation. "He has committed this major crime, gone to prison, comes out and then is allowed to stay in the country where he committed that crime? "He was here as a visitor and he has abused that hospitality." Hostage Ahmad Dadgar told BBC News Nejad and two other gunmen started shooting with a machine gun when the order went out to kill all the hostages. He was hit six times. Asked if Nejad should be freed from prison, Mr Dadgar said: "I personally forgive him, yes. I think he has been punished - fair enough." The Home Office said it could not discuss the case. Last year, the Court of Appeal urged the home secretary to give urgent attention to Nejad's future.